I'm very excited to see the latest bubble envelope hit the mailbox today. It contains my recent COMC order (one that I have been building for the past year). There are so many goodies to be had that it'll take a number of blog posts to get through it all. Nothing wrong with that!! Rather than jump in to the main course (spoiler....it's a plethora of Oscars), I'll go with something simple tonight....seeing as I'm watching the Flames game and reading a little Dave Bidini during the intermissions. 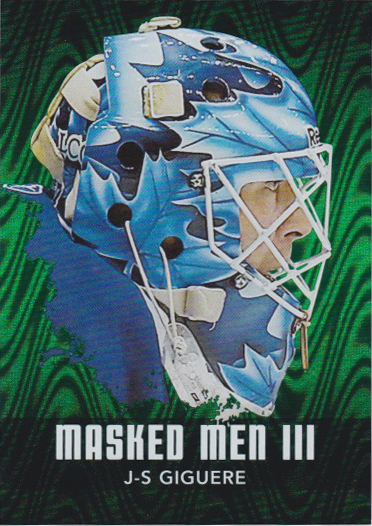 How about a mask card that almost finishes a long-standing set. Raise your hand if you remember Giggy playing for the Leafs? Raise your hand if you remember him with this stunner of a goalie mask? This is one sweet lid!! Love the profile shot showcasing the great design painted by Marlene Ross. This overlapping leaf layout really shows some depth and creativity that can be appreciated from a ways back - which is how it should be. I don't know why it took me so long to land this card...it's not like J.S. is a high profile goalie. Must be the fact he was playing for the Leafs at the time. Regardless, it leaves me with just one lowly card left on the wantlist to complete the set. Where are you Roberto Luongo?? (or should I say "cheap" Roberto Luongo). 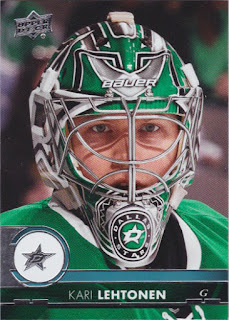 Here's a bonus card from this year's Upper Deck Series I product. Saw it and immediately had to have it. Why can't more goalie base cards be like this? 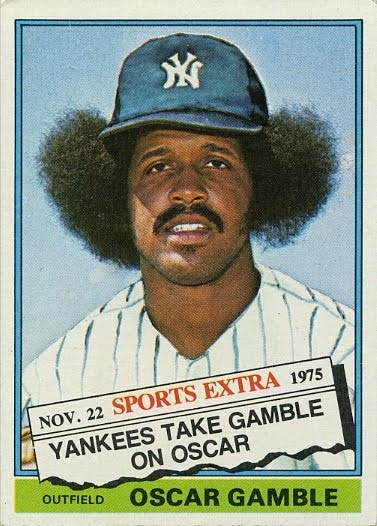 Why couldn't goalie cards of the 60's and 70's have been like this? 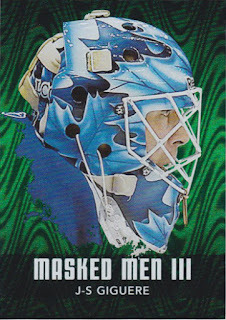 Oh well....it's one more sweet mask card to go into the binder.